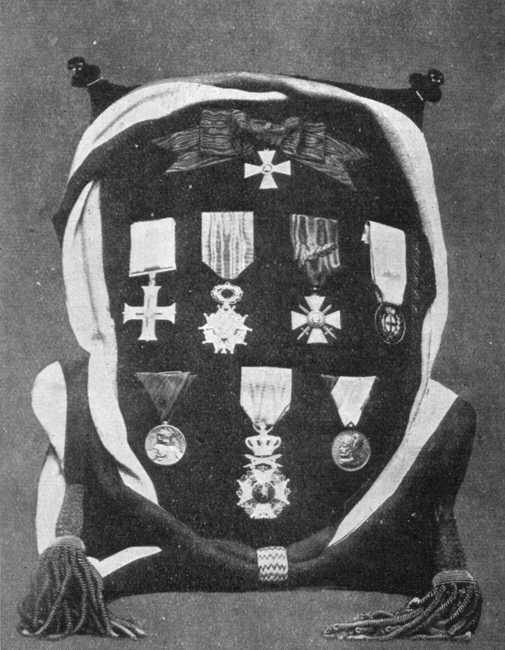 Here we see seven medals awarded to the city of Verdun during the battle of 1916. At the top is the Cross of St. George (Russia). On the bottom row (from left to right) are the For Military Bravery (Serbia), Cross of Leopold (Belgium) and Gold Medal Chilitch (Montenegro).